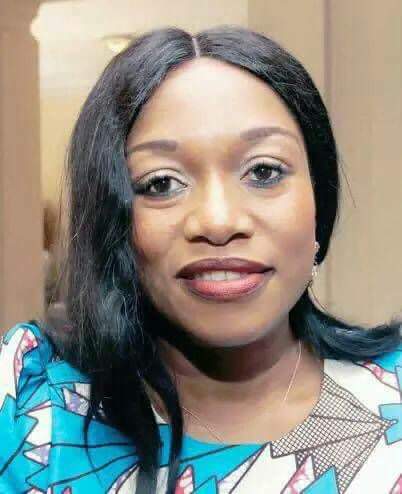 The Zambia National Women’s Lobby (ZNWL) is saddened by the demise of Gender Minister Victoria Kalima who died Monday evening at Maina Soko military Hospital following an illness. And President Edgar Lungu has declared three days of national mourning for the late Kalima beginning Thursday June 14 to Saturday June 16. Meanwhile, the country’s main opposition party, the UPND, has sent a message of condolences to Kalima’s family and the people of Zambia. In a message of condolences, ZNWL board chairperson Beauty Katebe paid tribute Kalima’s contribution to the fight for gender equality commitment to improving the welfare of girls and women in Zambia. “Ms. Kalima has died at a time when the women movement is strategically positioning itself and marshaling allies for the actualization and implementation of all impending legislation and policies pertaining to gender equality,” Katebe said. Katebe noted the good working relationship the women’s movement had with the late Kalima. “ZNWL interacted with Ms. Kalima regularly and received a lot of support from her on a number of programmes that we are implementing to enhance the representation and participation of women in politics. “We fondly recall that her first public assignment after being appointed Gender Minister was to officiate at the ZNWL Female Councillor’s Conference in 2016 which she did without hesitation. This speaks volumes of the calibre of leader that she was and her dedication to duty,” said Katebe. And President Lungu has declared a three-day period of national mourning for late Kalima, according to a statement issued by Deputy Secretary to Cabinet for Administration Patrick Kangwa. “Cabinet Office wishes to inform the general public that His Excellency the President of the Republic of Zambia, Mr Edgar Chagwa Lungu has accorded a state funeral to the late Minister of Gender, Honourable Victoria Kalima who was also member of parliament for Kasenengwa constituency. This follows the demise of the Hon Minister yesterday Monday 11th June 2018 at Maina Soko Military Hospital, Lusaka after illness. A three (3) Day national mourning period has since been declared in her honour. The period of national mourning will run from Thursday 14th June to Saturday 16th June 2018. During this period, all flags will fly at half-mast and all radio and television stations will play solemn music from 06:00 hours to 18:00 hours every day. All activities of entertainment nature should either be postponed or cancelled. The funeral for the late Hon Minister is being held at House Number 13 Kasempa Road, off Chiushi road, Sunningdale, Lusaka,” said President Lungu. Meanwhile, the UPND has sent a message of condolences to Kalima’s family and the people of Zambia. “The United Party for National Development (UPND) wishes to send their heartfelt message of condolences to the family of the Late Minister of Gender Victoria Kalima,” said UPND secretary general Stephen Katuka in a statement. “Ms Kalima who was also Kasenengwa Member of Parliament was not just our colleague, but a family woman who has left a gap that will not easily be filled. “As a nation, we have lost a woman who added value to the nation in our quest to remain responsive to matters of women in politics. “Our hearts and prayers go to the bereaved members of the family and the people of Kasenengwa Constituency where she was Member of Parliament,” said Katuka.